Who can stack it highest before they tumble down? 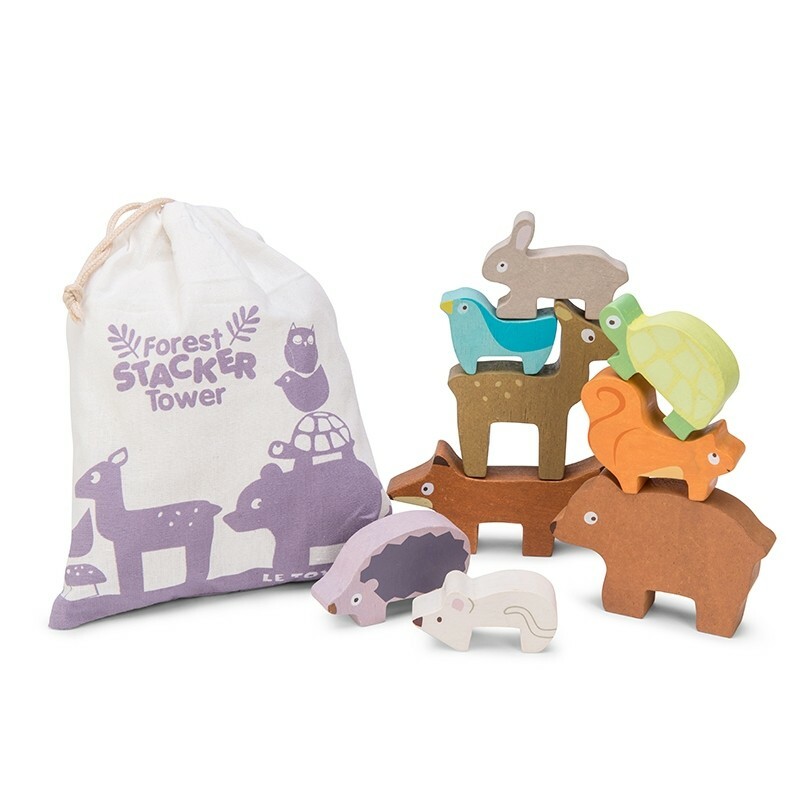 A set of 9 wooden animals complete with handy draw string bag to play anywhere. 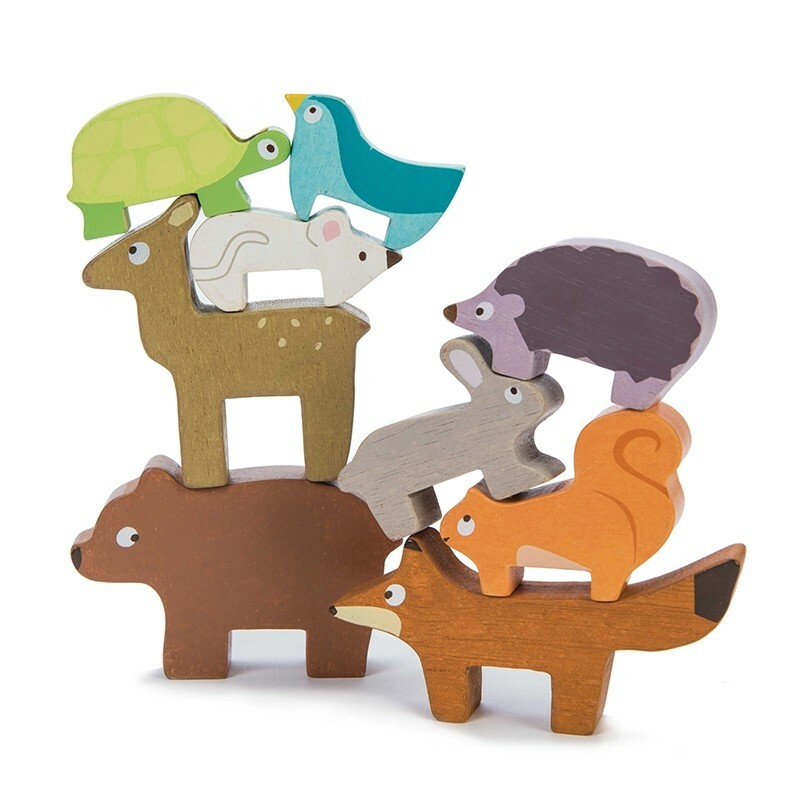 The woodland animals are made of solid wood ethically made from sustainable legal wood. Safe: Water based paints. Tested for children from 12 months. 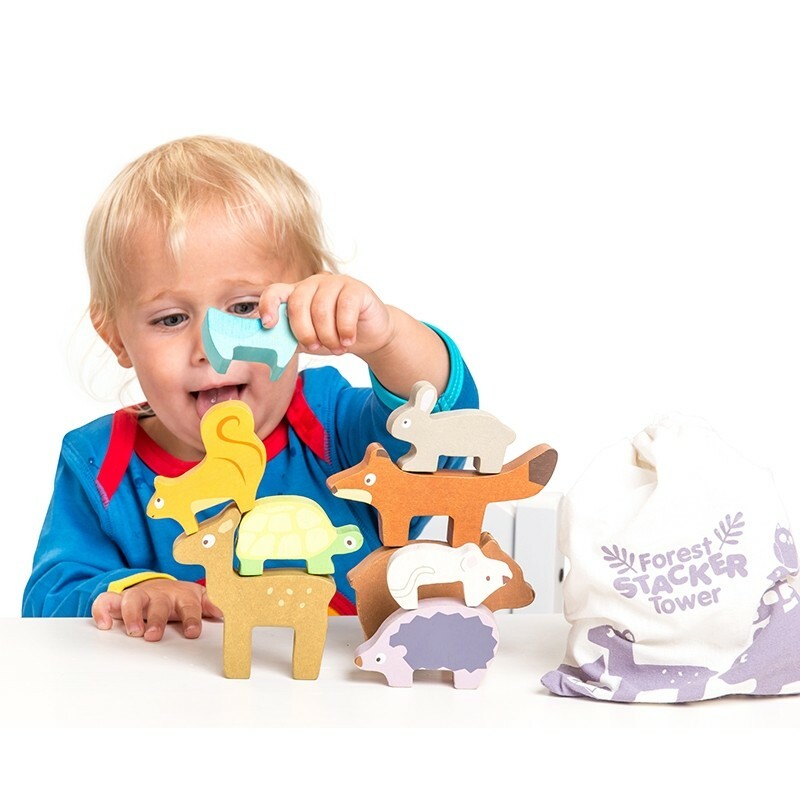 Ideal for children aged 1- 3 years old. Part of the 'Petilou' Collection from Le Toy Van. RECOMMENDED as part of the "Good Toy Guide" by the Experts in Child Psychology at Fundamentally Children.